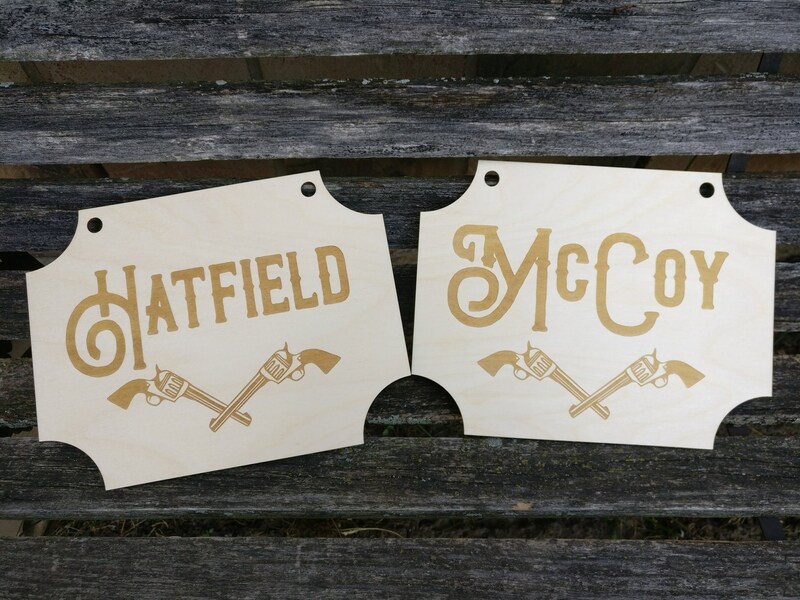 BRIDE & GROOM Wood Signs. 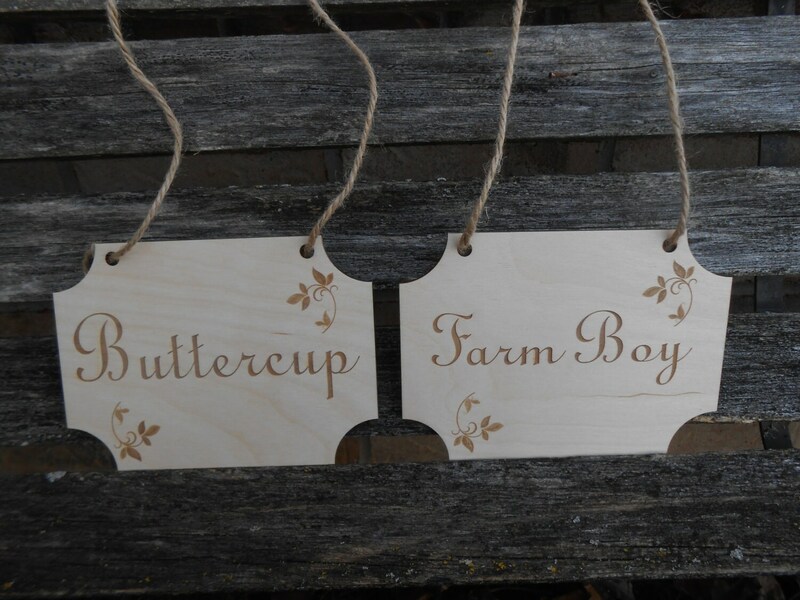 Laser Cut, Buttercup, Farm Boy, Westley. 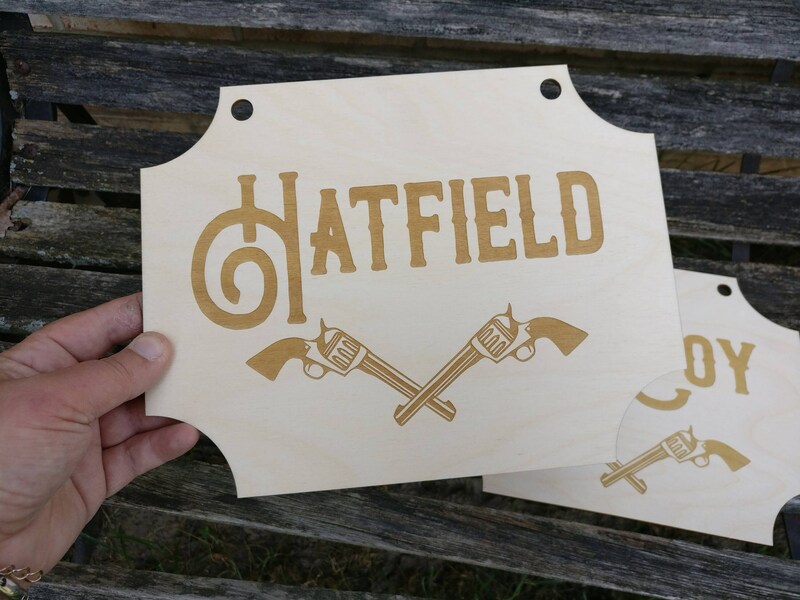 His Hers Chair Sign, Wedding Decoration. Rustic. 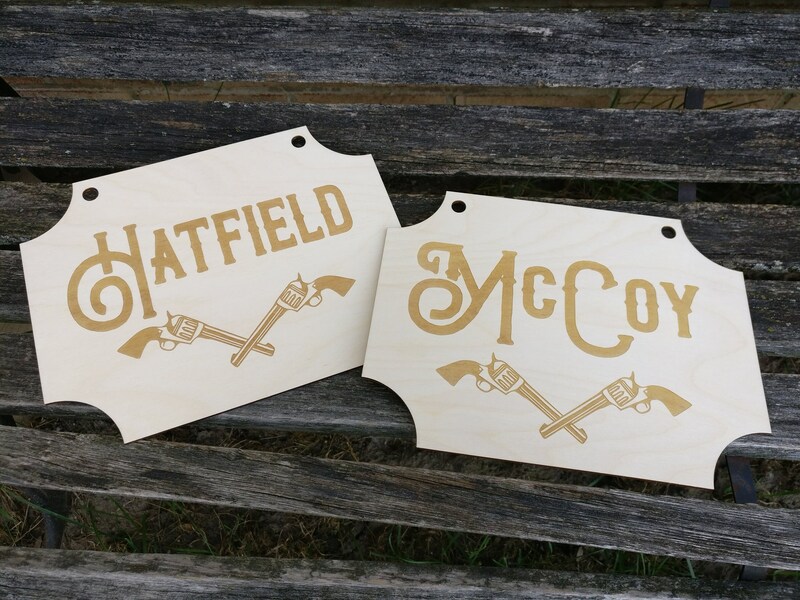 This listing is for a pair of wooden signs for the bride and groom. They can be made to say whatever you want. They are laser cut, with a little leaf spring in the corners. 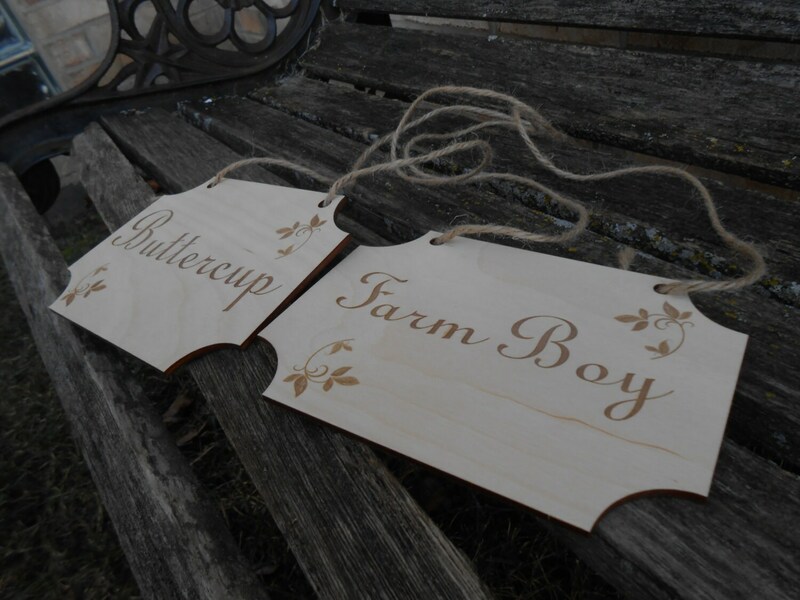 Each sign is hung from jute twine, allowing them to be hung on a chair or anywhere else you want to use them! The signs are nice and lightweight. 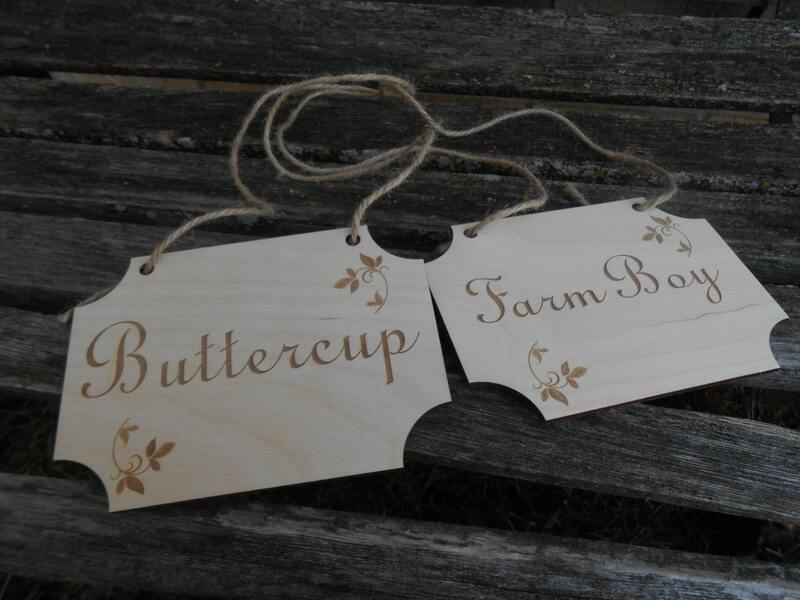 We can do these for the whole wedding party! 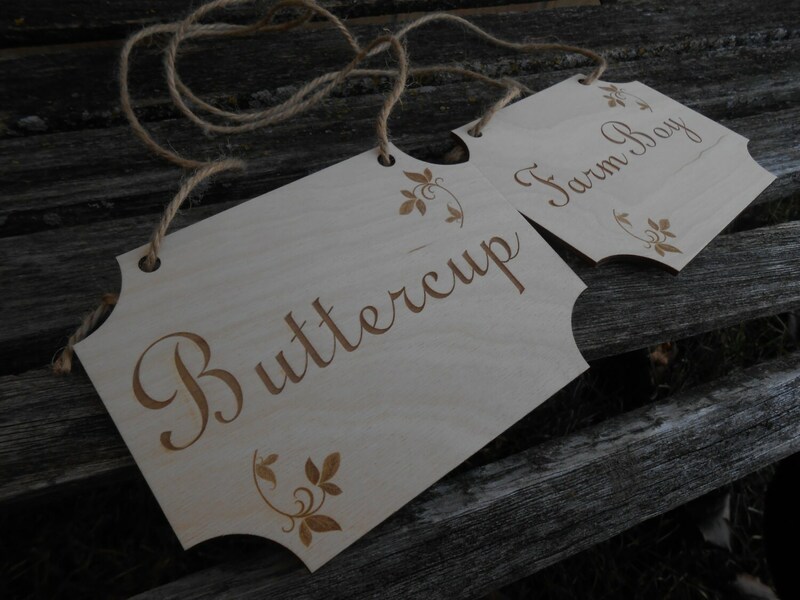 Or they can be personalized with any names. 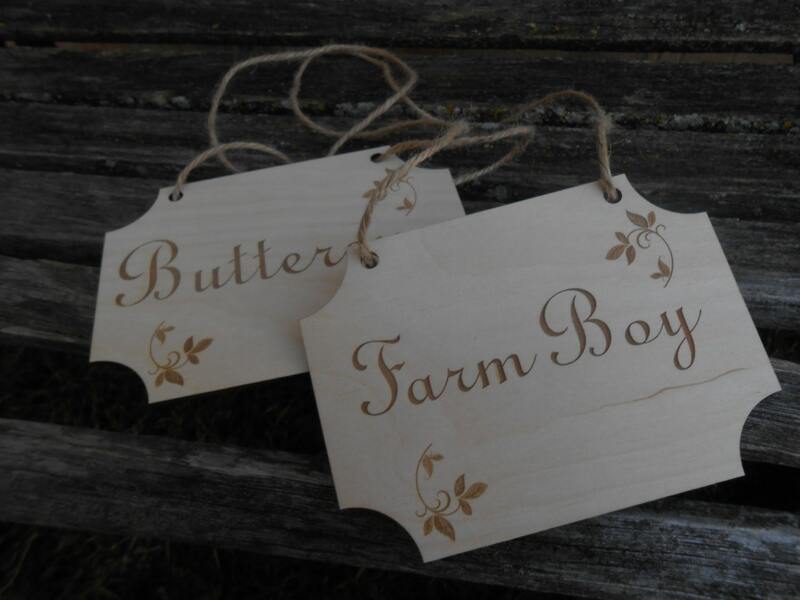 Please contact us if you would like a custom order.